Teknion dna™ is a collection of modular lounge seating and tables designed to expand the functional repertoire of lounge seating. Traditionally, the office lounge was located adjacent to the reception desk and intended to serve as a waiting area for visitors. Employees rarely used the space. 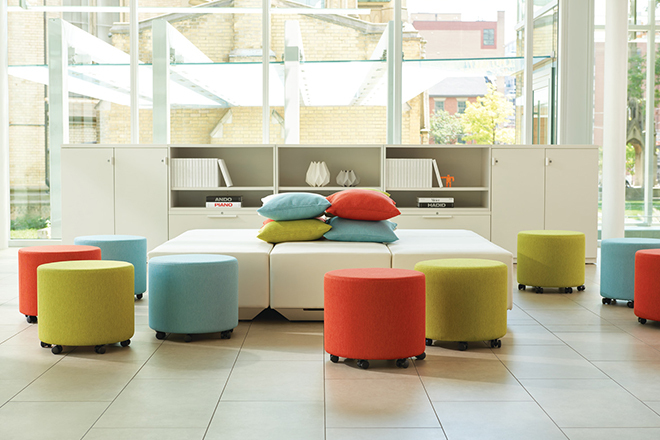 In the contemporary office, the lounge often functions as a space for collaborative work and requires furniture that provides greater flexibility and easy access to power and communications. Teknion dna is designed to support collaborative work wherever it occurs throughout the office.